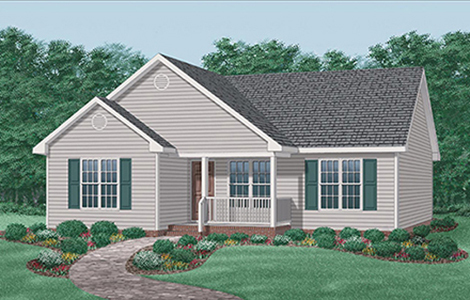 A transitional "split bedroom" design, the William offers economy of construction along with timeless grace. Just inside the welcoming front porch lies the spacious Great Room and Kitchen/Dining areas. Other notable features of this plan: Serving counter for informal meals. Rear deck for enjoying fair-weather days. 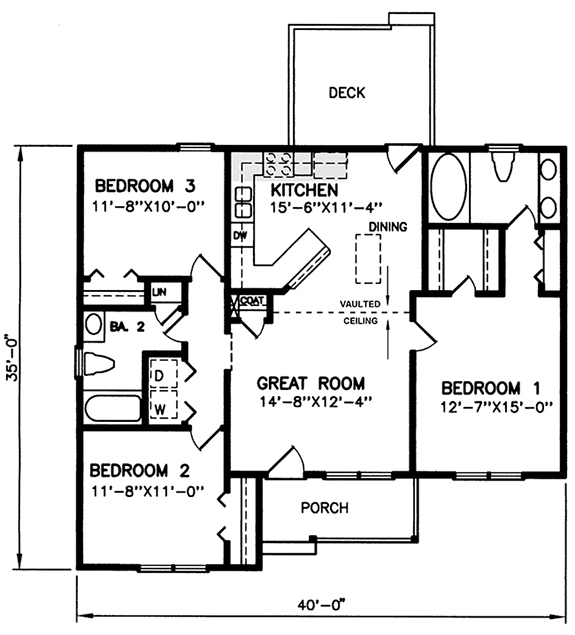 Master bedroom has a walk-in closet and a private full bath. Another full bath, a coat closet, and a linen closet between bedrooms 2 and 3. Well-placed washer/dryer closet Small "footprint" ideal for narrow-lot constraints.